The hardening heat treatment is maybe the most known process among the works on metal with industrial furnaces. Also known as cementation, is a process that consists in modifying the chemical and physical features of the metal. A lot of metals, in order to reach their final destination, need some works that aim to modify their status, in order to give particular characteristics. So, there are processes that aim to make the material ductile, other ones that instead melt the metal to give it a new form, and other ones that confer resistance. This is the case of the hardening heat treatment, that exploits some basic chemical principles in order to obtain a perfect result. The process of hardening heat treatment consists simply in a pre-heating of the material, followed by a rapid cooling. What changes are the techniques with whom you can obtain the result. The first part of the process is essentially only one, because it consists in the passage of the material inside an oven, that can reach temperatures up to 870°C. 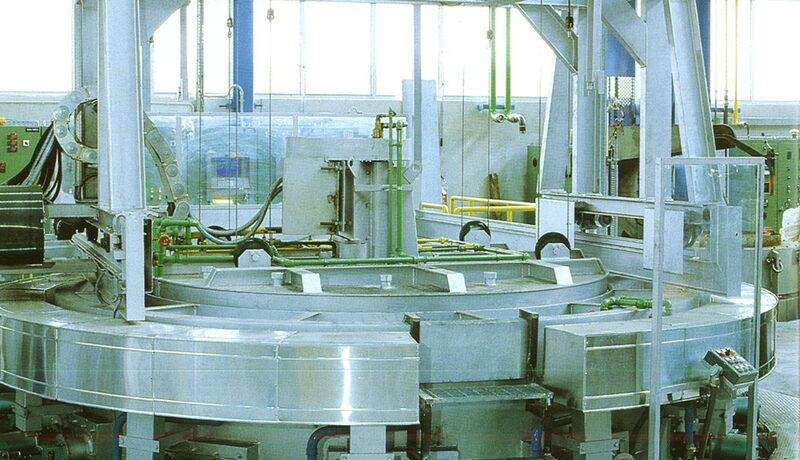 The staying inside the oven changes depending on the metal object of the treatment: stainless steel, steel, aluminum, copper etc. all have different characteristics and times of elaboration. The temperature of the hardening heat treatment changes also depending on the following mean of cooling chosen, and the heating has to be gradual in order to avoid cracking phenomenona. It is infact the second part of the process that is subjected to variations, also significant ones. The gradual heating needs to be followed by a rapid cooling. Only in this way the hardening heat treatment can confer the resistance feature requested for the material. Every mean has its pros and cons, and is more suitable to a certain material rather than others. What unites the procedure is the professionalism and precision of the operators involved, as long as the quality of the machines used.